With the start of a school year, students need courage to enter a new school and classroom, reach out and make friends, or tackle a challenging subject. The need for courage doesn’t stop with children and teens. Perhaps you are dealing with loud music from a neighbor’s home and need courage to address it. You may need courage to wake up each morning because your marriage fell apart. Perhaps we need courage to remain silent, when our mouth wants to move and give an opinion. Life dilemmas and difficulties vary and fall across different circumstances and seasons of life. We never escape our need for courage. Not only do we need courage, but as we walk through our day, we want to be encouraged. In preparing a lesson to teach to a women’s group on courageous women, I hope we can apply principles gleaned from examples of these women and be en-couraged. 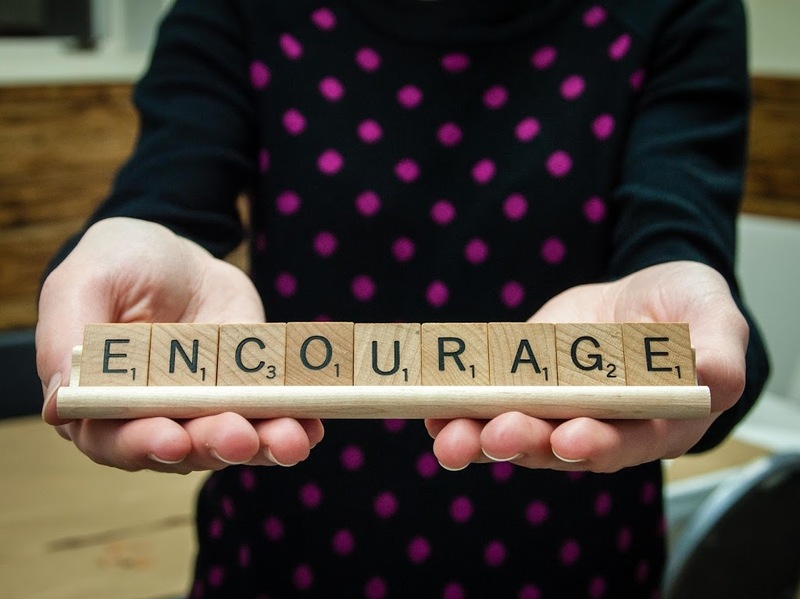 It’s not rocket science to see the word “courage” in “encourage”. When I searched for the meaning of “en” I found it is a prefix that means “to cause to.” We see it in words such as enrich and entrust. We enrich, and we add value. We entrust, and we give confidence. We encourage, and we inspire…to have courage. When we entrust we also enrich and encourage. When we enrich, we have entrusted and encouraged. When we encourage, we also enrich and entrust. It’s all in a little prefix, “en”. Take your pick–choose one way to encourage someone today. You will have extraordinary treasures: adding value, giving confidence, and inspiring to have courage. Let us know how you encouraged. You’ll encourage all of us!